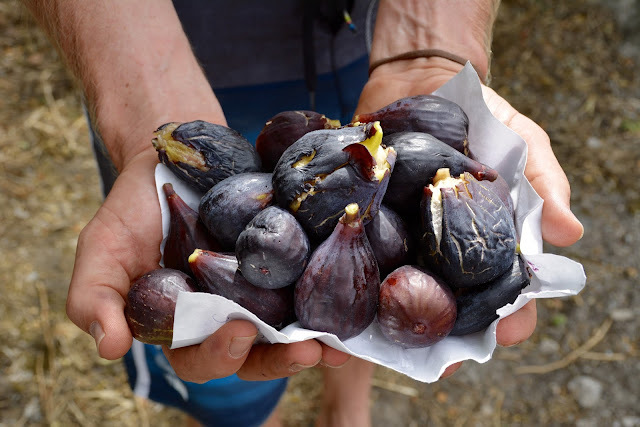 It turns out figs have two seasons ~ initially fig trees produce the large purple-skinned juicy figs we all know (like this bounty we scored in Marseille, France). These ripen, are either picked or fall, and the tree is then bare. Very very sad for a fig lover like myself. However, there is a second bounty that appears - and I’m not sure if it the same globally or just Europe. More figs grow and ripen and are ready for a second picking. These are smaller and bright green and I remember eating them 8 years ago when I was on a Croatian island for a week, so I had hoped to find them again. So besides eating them straight off the trees daily, I was dying to create what I am about to share with you, and being our last day here, and Brock coming home with another fig stash after an afternoon run, I stopped at the store to grab the rest of this recipe to share with you (and of course, eat myself). 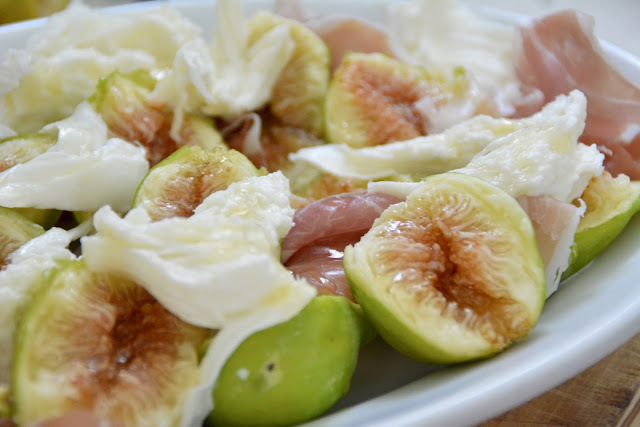 Using only your hands (no knives for sitting here), rip and tear the figs apart and spread out on a dish. 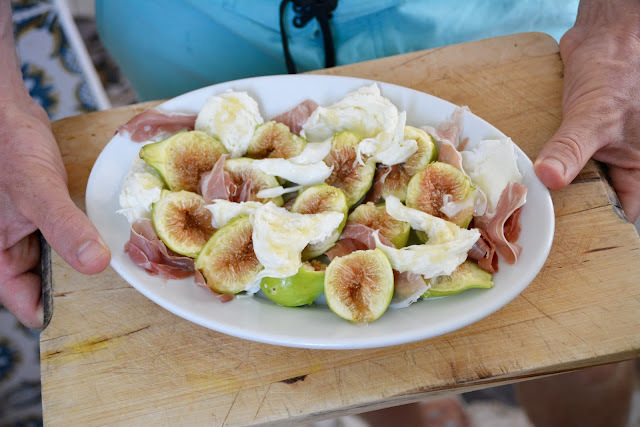 Do the same with the mozzarella and the prosciutto. Then drizzle honey over the lot! If I had balsamic vinegar, a splash of that would have been magical as well. We had this as a light late lunch / afternoon snack and it made me realise I need to do some research with a thesaurus for more words to describe my current indescribable feelings around ridiculously good local foods.